To meet the demands of customers as a manufacturer, supplier, trader, retailer and wholesaler, we are engrossed in offering Receipt Printer. 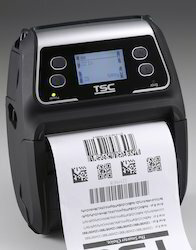 Ensure accurate barcoding, our offered printers are designed and developed in accordance with the guidelines laid in the industry. Before final dispatch, these printers are checked thoroughly to ensure flawlessness. 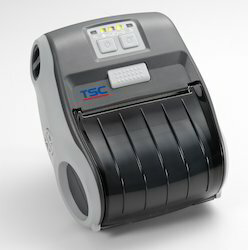 - TSC designed & manufactured. - Plastic design with rubber over mold construction that withstand 1.5m (5 ft) drop & endure 1.8m (6 ft.) drop with its proctive case. - Ready for EPL, ZPL, CPCL environments, TSC Droid APP & SDK. WinCE APP & SDK, iOS SDK. - Pocket size (79.5 X 114.3 X 43.5mm). - Light weight for true mobility. - High resolution (203 dpi : 8 dots/mm). - USB, Bluetooth, Ver2.1 + EDR, UARTS (RS- 232C) [option] interface. - Support text & graphic printing. - Support microsoft windows XP/VISTA/7/8,WINDOWS CE,LINUX,ANDROID,IOS compatible.